You'd have to go out of your way to not look chic when you're wearing the city-inspired Fera Sasha Coat. 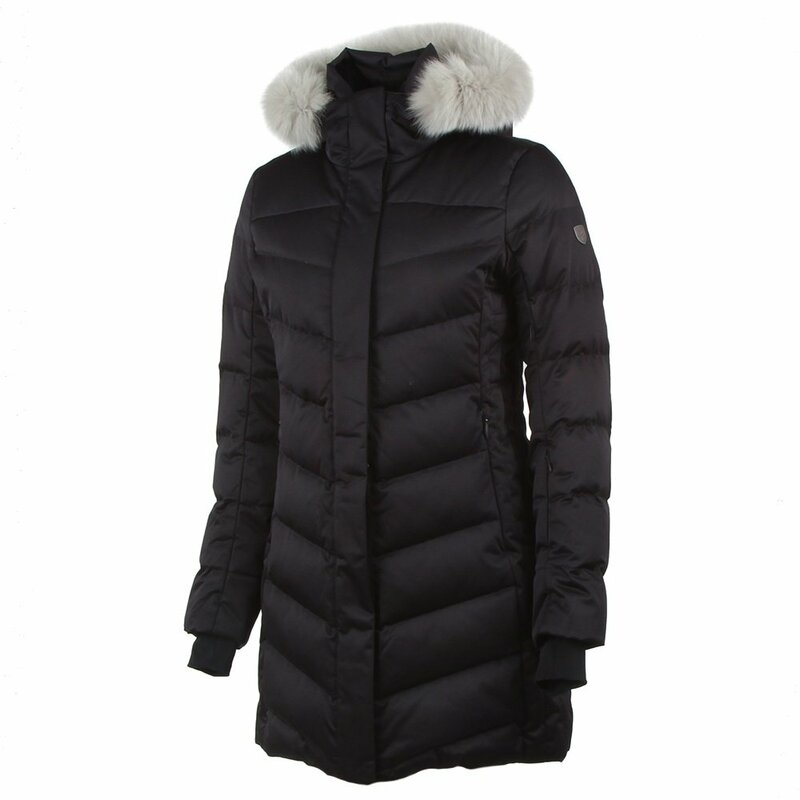 This elegant down jacket features a down zip front closure and a subtle "V" pattern quilting, creating clean lines and a very slimming silhouette. Hitting just above the knee, this winter coat's long style makes it perfect for layering over tights and snow boots at the resort, or over skinny jeans and stylish heels for a Saturday night in the city. And you won't have to sacrifice style for warmth on chilly nights with the Sasha Coat since it has 650-fill power insulation and a 10K waterproof rating. This coat is stylish and very warm. I walked all around Chicago I this coat with 8 inches of snow on the ground and temperatures in the teens. I was very warm!